Qingdao Hongda Forging Machinery Co., Ltd is one of the leading China electric screw press manufacturers and suppliers, and also a professional electric screw press factory and company, welcome to buy our products and check electric screw press price with us. Qingdao Hongda Forging Machinery Co., Ltd is one of the leading China electric screw press manufacturers and suppliers, and also a professional electric screw press factory and company, welcome to buy our products and check electric screw press price with us. FXZ series CNC electric screw press for refractory industry characteristic, specifically designed for the refractory industry refractory molding equipment, with control of advanced, energy efficient, safe,screw, screw nut pay high life, easy operation, stable product quality less maintenance, and other characteristics. 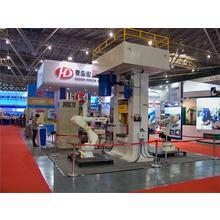 By PLC program controller for a switched reluctance motor control, and interface with manned aircraft, according to the manufacturing process and blow molding precision setting energy and hitting power, precise control of energy efficiency, and other aspects of combat power than the traditional spiral press. Ø Better lubrication, the screw is sealed in cylindrical guide sleeve which reduce the dust pollution to the screw. The copper nut and screw sink in the oil pool, the blow will be more smoothly and stable. The screw and copper nut will use longer life. Ø Correctly control the blowing power ,highly précised product. 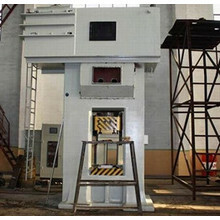 Ø Hydraulic ejecting, ejecting height can be set freely, and the ejecting power is stable. 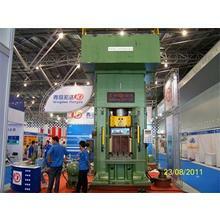 Ø With guide rails on the slider and the cylindrical guide column-oriented, has strong anti-deflection capability. FXZ series electric screw press is widely used in the suppression of clay brick, brick, magnesia carbon brick, nozzle brick, brick corundum, spinel brick, aluminum brick, tar brick, tiles and other skateboard firebrick. 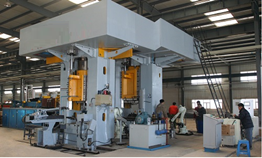 We produce Electric Screw Press,screw press,electric press machine,electric press,screw press machine We have years of history and experience in manufacturing. Customer satisfaction is our pursuit.